The best TT tribute act around are doing a one-night only live performance at Walkden Legion for the very first time, this is a show not to be missed. 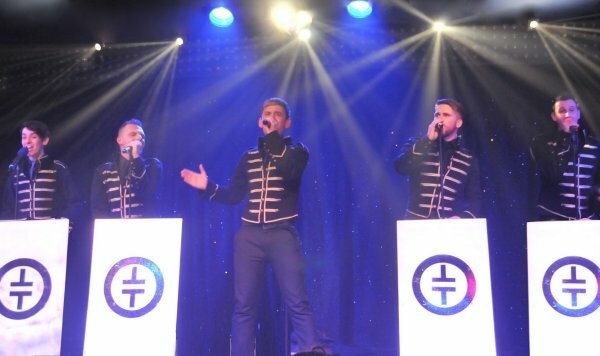 This show comes with distinctive dance routines and original choreography, costume changes, live vocals with harmonies to fully recreate the Take That magic. Don’t miss out on the Ultimate Take That and Robbie Williams experience that you will Never Forget! classic Soul, Motown, Northern & modern. 5. What type of fish connects James Bond & Steven Spielberg? (SHARK) Jaws. 8. What was Wallace & Gromit’s first 30 minute film ? (A GRAND DAY OUT) 1989. 14. Which former City boss from the 90s once said “Watching Man City is probably the best laxative you can take” ? (PHIL NEAL) caretaker manager in 1996 taking over from Steve Coppell. 16. In which decade was VAT introduced in the UK ? (1970s) 1973.
the 70s had it all didn’t it ? so why not join me from 8.30pm for a night of dance and silliness ? I’ll be playing all types of soul from the 60s up to modern stuff including a cocktail of Northern Soul, Motown, Philladelphia and a dash of funk. I hope I see a few of you there and please bring your requests but just remember…. No Pop, No Pap, just Sweet Soul Music.